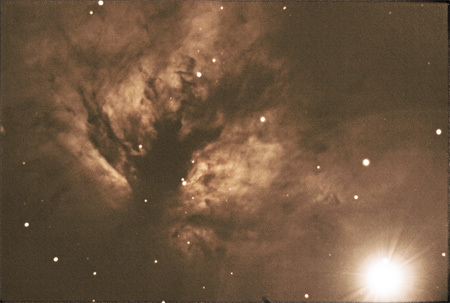 Here’s an astrophoto of the Flame Nebula, an emission nebula in the Constellation Orion. The bright star in the lower right is Alnitak, the eastern most star in Orion’s belt. 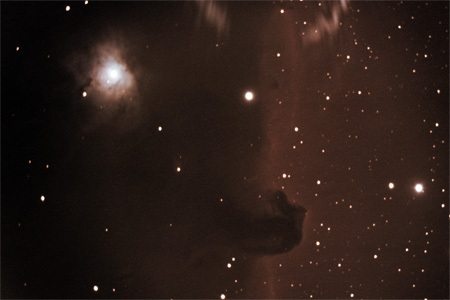 The flame nebula is part of a vast network of nebulas that cover Orion and it is located just above the Horse Head Nebula. This picture represents 15×5 minute exposures for a total exposure time of 75 minutes. 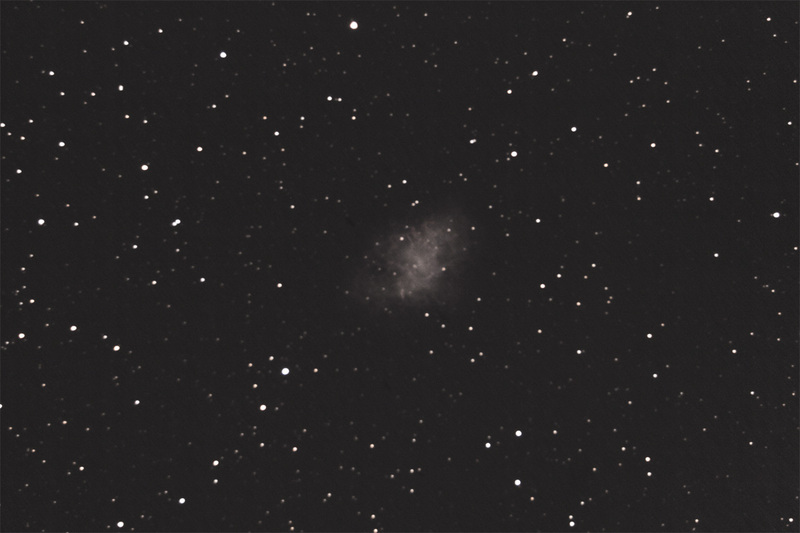 Here’s my first shot of the Crab Nebula. 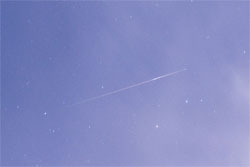 It was taken during a 3/4 moon so the skies were pretty light. 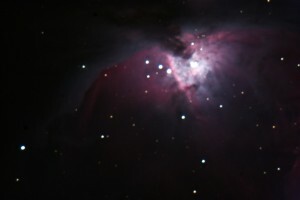 This was my first time taking flats, darks and lights and then stacking the images in deep sky stacker. 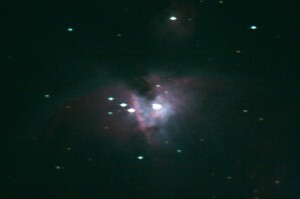 I used 25×2 minute exposures of the nebula along with flats taken at dusk and darks taken at the end of the night. 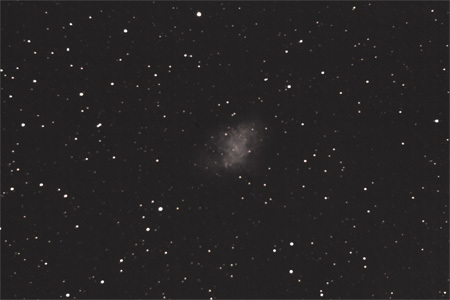 Its not quite as nice as this Hubble photo of the Crab Nebula but pretty close (not). I finally got my pier up and running and had a perfect night to break it in. Orion is just now starting to come out again and I figured I would have a go at my favorite nebula. 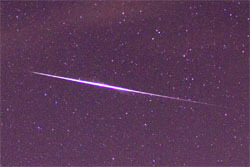 Here’s a quick process of four frames ranging in exposure time from 30 seconds to 1.5 minutes. I was not auto guiding and my polar alignment was a little off (still working things out). 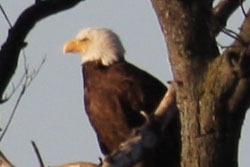 It took me about 2 months after getting my guide scope and STV auto-guider before I actually figured out how to use it. The first few times I tried it, it wouldn’t work. I thought the cable was bad and got a new one, still no luck. Thanks to the guys on the SBIG mailing list I was able to figure it out. With the STV at least you can’t auto-guide unless you are equatorial aligned. 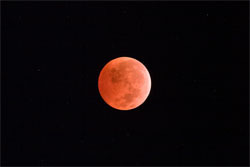 For me, this meant I had to get an equatorial wedge and polar align my scope before trying to auto-guide. 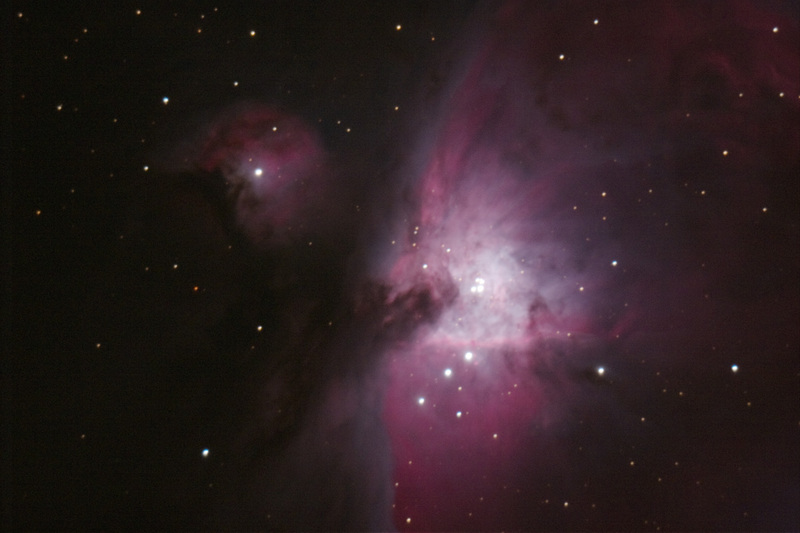 I bought a wedge from a local astronomer and the picture below is the result of my first polar aligned, wedge mounted auto guided shot of M42. Its 2 2 minute exposures stacked using photoshop (so total of 4 minute exposure). There are still things that I’m not doing right. I’m not perfectly polar aligned for starters, also my focus is off a bit. 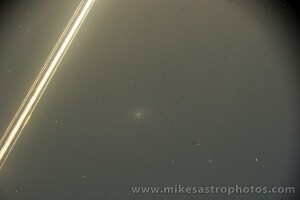 There are also some errors in the image which I think are the result of a dirty lense. But all these things aside, I was super physch’d when I took this picture. I had been trying to get my STV working for months to no avail. Once I was wedge mounted and polar aligned the thing worked like a charm.